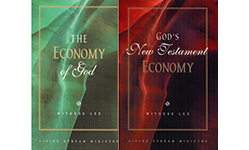 The full ministry of Christ in His three divine and mystical stages is the entire content of God’s economy in the New Testament. 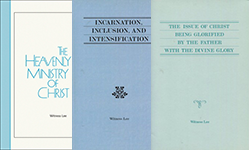 In this class, trainees study the three stages of the person and work of Christ in His incarnation, inclusion, and intensification. With a deeper appreciation of Christ’s person and work, trainees learn to apply these truths to their daily life and service. God’s economy is His plan to dispense Himself into His chosen, redeemed, and regenerated believers. 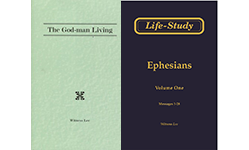 Trainees consider the basic principles, issue, and goal of God’s economy, and the way to live the Christian life with a view to its fulfillment. God’s divine dispensing is to make the believers the same as He is in life and nature but not in the Godhead, with the ultimate goal of God gaining a corporate expression to consummate the New Jerusalem. 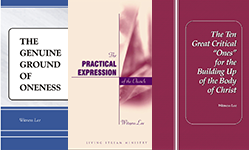 This class is designed to unveil crucial points concerning the Spirit, who was processed through Christ’s incarnation, human living, crucifixion, and resurrection. This process was ultimately consummated in the all-inclusive Spirit for the believers’ experience and growth in life today. 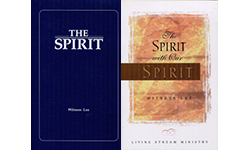 As trainees examine the numerous aspects and functions of the Spirit in the Scriptures, they gain the invaluable experience of touching the living God as the Spirit in their human spirit. 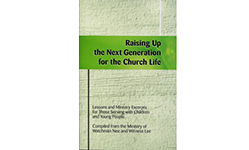 In this class, trainees gain a vision of the importance of the younger generation in the Lord’s move on the earth today. 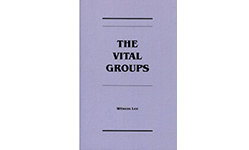 The work with children, young people, and college students is presented as one inclusive work, requiring vision, training, and a spirit of love to care for the spiritual growth of young believers. 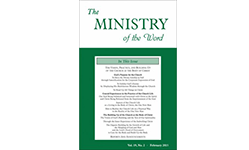 The Triune God is the content of His Word. By His Word believers are able to enter into His move in His economy. 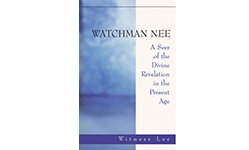 This class highlights the intrinsic significance of the Word through an overview of the central line of the divine revelation in the entire Bible. 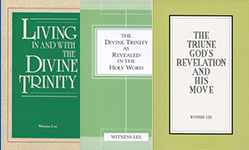 Such a bird’s-eye view affords a framework to objectively understand the Triune God in a comprehensive way for an enriched experience of living in and with the Divine Trinity for the accomplishment of His eternal economy. This course provides trainees with a basic foundation in New Testament Greek. 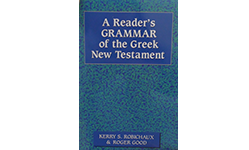 Trainees are equipped with a sufficient knowledge of Greek grammar and vocabulary to continue their independent reading and study of the New Testament in its original language. 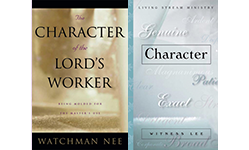 Genuine service to the Lord is not a matter of method or activity but of person and character. In light of this principle, this class orients trainees toward a proper view of service through the lens of God’s economy. 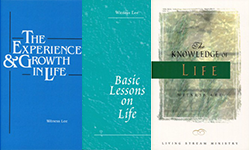 Trainees also explore basic spiritual and life principles necessary for ministry, as highlighted in the lives and work of the ministers of the age. This course explores the New Jerusalem as the total composition of the entire revelation of the Bible and the fulfillment of God’s eternal purpose. 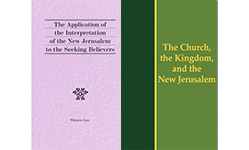 In this course, trainees see that the New Jerusalem is not a physical city but a reality that we are enjoying and becoming today. “Our character is our very person. A person’s usefulness, the things which can be entrusted to him, the responsibilities he can bear, and the things he is able to accomplish altogether depend on his character” (Character, p. 17). This course focuses on the crucial practices revealed in the Word that cultivate and maintain the divine life we received at our regeneration.